“Revival, by my definition, is the church (members) being spiritually alive and vibrant in their walk with the Lord, and if that is in operation, those that make up the church will affect their surroundings, and harvest will occur,” shares Pastor Bruce Johnson of First Church in Athens, AL. “I believe the most important key to having a growing church is unity. The best programs, plans and strategies for growth may work for a moment, but it will be a love and a true concern for one another that will fuel a continual mode of growth (spiritually and numerically) that will last after the hype of the latest ‘new thing’ has passed. Priorities should be placed on the people,” states Bro. Johnson. There are many different ministry departments at First Church, including Ladies, Youth (The Direction), Sunday School, Prayer, Benevolence, Food Bank, Outreach, Music, Jail, and Building Maintenance (yes, it is a ministry). 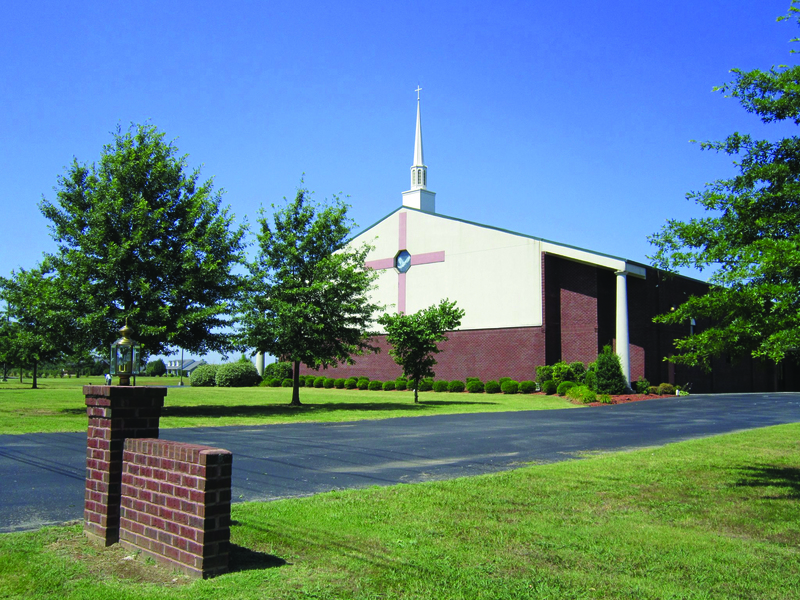 First Church also houses Tennessee Valley Bible Institute, which is a satellite branch of Texas Bible College. “About 40% of our members are involved in ministry, and about 20% involved in evangelism,” said Bro. Johnson. “I encourage involvement by stressing the need to be active. We have an annual planning meeting with our ministry leaders; this year we are having a retreat. There have been many miracles at First Church, but one in particular that Pastor Johnson wanted to share. “The grandfather of our youth pastor’s wife, who had been addicted to nicotine and alcohol for 58 years, began to attend our church on a regular basis,” he said. “While I was preaching one Sunday morning on consequences, I called his wife (a wonderful, faithful saint) and three of their grown (Holy Ghost-filled) grandchildren to the front to show what the consequences of having a Godly grandmother can have on her family. Then I called him up to join them and before he made it fully to the altar, he received the Holy Ghost. On Dec. 31, 2003, at the age of 38, Pastor Johnson left his secular employment to fulfill the calling the Lord had placed on his life to be a full-time evangelist. For the next nine-plus years God used his family extensively in the Northeast portion of the U.S. and overseas to help strengthen the churches and pastors across our fellowship. He was elected senior pastor of First Church in May 2013. “We were here to help evangelize and strengthen the local church body when the former pastor asked us to pray about staying on in the role of senior pastor,” he said. “With much prayer and Godly counsel, we accepted the invitation to stay on and fill the role. “We own 28 acres of land and the building we are currently in was constructed in 2001 and will become our Family Life Center in the next building program,” explained Pastor Johnson. The main sanctuary seats 500 plus on the floor with another 40 on the platform. There are offices, adult classrooms, a commercial kitchen, fellowship hall, food bank and nurseries on the main level. Also on the main level is a guest lounge where first and second time guests are able to come after service to meet with some of the ministry team and receive gifts bags, which contain a church coffee mug for men and an acrylic tumbler for women with a gift card for a local restaurant (owned by a couple in our church). The second level contains more offices and the children’s/youth Sunday school classrooms. Pastor Johnson was born in East Hartford, CT on December 7, 1965 to a working middle class non-Christian family. There were two men that influenced his ministry the most: his original pastor, Jon K. Petoskey and his son, Pastor Jon W. Petoskey. “In the early ‘80s, Pastor Petoskey felt led to leave Michigan and to start a church in Connecticut,” explained Pastor Johnson. “He ended up getting employed by the Hartford Insurance Co. where my brother Rick was working. A Bible study soon ensued and that was the beginning of the church. God began to deal with our family. My fiancé (who later became my wife) and I began to take a Bible study and over the next year or so we both went through our conversion experience and have lived for the Lord ever since. 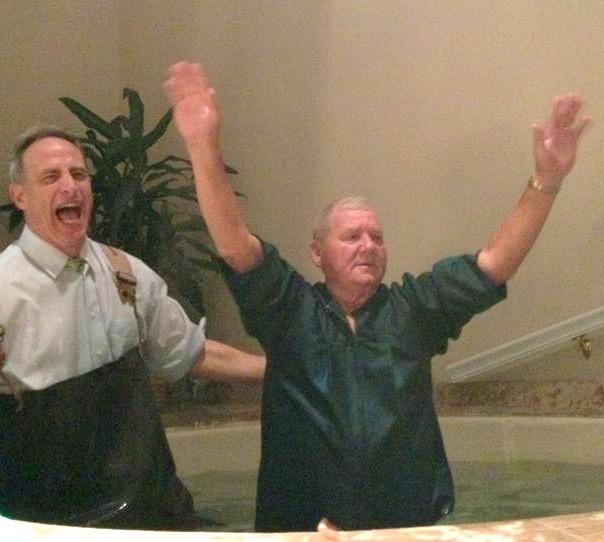 “I received the Holy Ghost in 1985 at the age of 19. I preached my first message in 1988 at the age of 22 at a Jewish Synagogue that our home church was renting at the time (United Pentecostal Church of East Hartford). After preaching for a few years, I began to follow through to receive my local license in 1991. In January of 1994, after attending the ministerial conference Because of the Times, I felt the call to be an evangelist. For the next eight-plus years, we served in our local assembly and began to preach out under the oversight of my pastor. “I enjoy spending time with my family and friends on my off time,” he said, “That’s what brings the relaxation that is needed.” Pastor Johnson and his wife, Nina, have two children, Caleb, 21, and Rachel, 19. “Occasionally, I like to drive the little white ball (golf) or my Harley.” Bro. Johnson can be contacted through his e-mail at internationalevangelist@gmail.com.